LitePoint has announced that its IQxel family of testers has been validated by Sigfox for testing of Internet of Things (IoT) devices that are compatible with its LPWA technology. Sigfox is the leading provider of connectivity solutions for the Internet of Things. The company has built a global network to connect billions of devices to the Internet while consuming as little energy as possible, as simply as possible. Sigfox’s network is already present in more than 30 countries, and on track to be in 60 countries by the end of 2018. Thanks to this collaboration, device manufacturers can now use the IQxel-M to perform manufacturing tests of Sigfox-enabled IoT devices. They will also have a pre-certification tool ready-to use, enabling them to quickly design and qualify the modem of their IoT device. Furthermore, the LitePoint solution can be used to run certification testing as part of the Sigfox Verified certification program. The IQxel-M manufacturing and certification test solution is available today. IQxel-M is a comprehensive, one-box test solution for wireless connectivity testing and supports a wide variety of wireless standards including Wi-Fi, Bluetooth, Zigbee and now Sigfox. The system can perform parallel testing of multiple devices (Multi-DUT) while at the same time enabling the concurrent test of multiple technologies (Multicom). IQxel-M was built from the ground up for manufacturing with its rugged and compact design, the 2U-high chassis fits in a standard 19 inch rack, making it easy for rack and stack implementations. 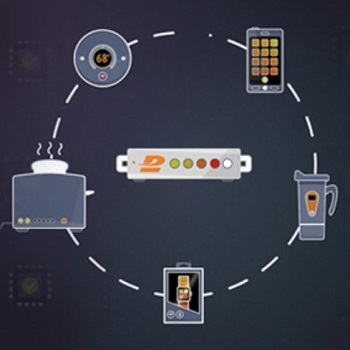 For more information on LitePoint’s IoT solutions, click here.